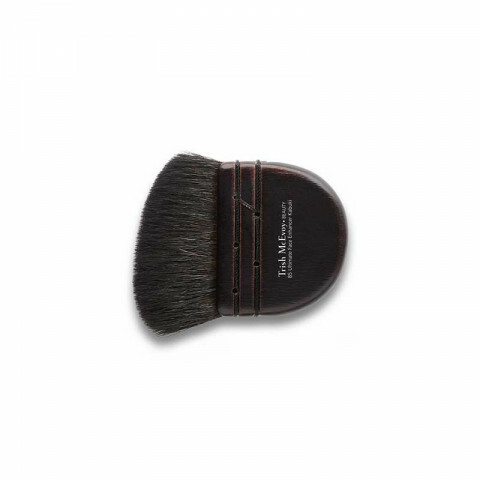 Designed for the flawless application of bronzer, highlight and blush, this luxurious hand-made brush features the softest, highest quality AAAA goat hair. Precision-cut into a mistake-proof shape, the wide, flat, angled head perfectly contours and blends while the unique handle fits in your palm for maximum control. super soft bristles that are perfect for contouring the cheeks.